Novak remained on course for a seventh title in Melbourne after the second round win over the player he beat to claim his first Australian championship trophy. 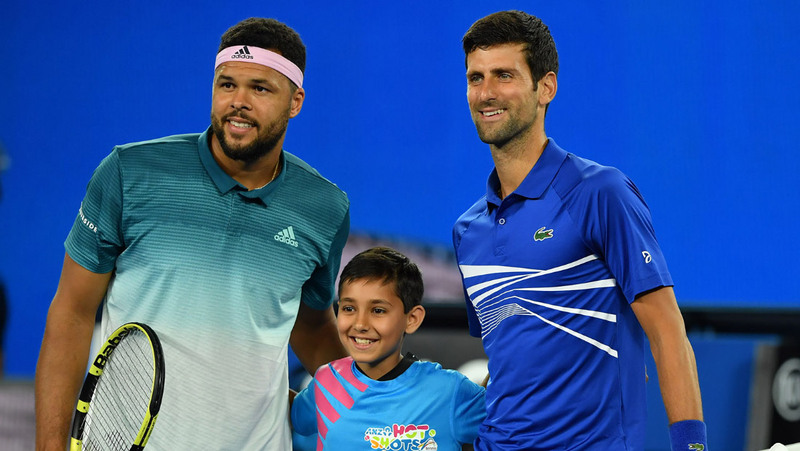 Six-time former champion Novak Djokovic booked his spot in the third round of 2019 Australian Open with a 6-3, 7-5, 6-4 victory over 2008 finalist Jo-Wilfried Tsonga on Thursday night. Novak completed an efficient performance at 12:40 am local time on Friday morning. The French wild card showed flashes of his ability but the 31-year-old Serbian ace was always in control. Novak first broke for a 3-1 lead, but Tsonga broke back. Another break from the Belgrade native was consolidated with a love service hold and the opening set went to the top seed after 31 minutes of play. Djokovic had saved three break points in the second set before he converted his chance in the seventh game. The Frenchman fought back in the 10th to level at 5-all, but Nole took his chances and kept Tsonga under pressure which lead to one more break of serve in the 11th game. He did not drop a point serving it out for 7-5. A break in the fifth game of the third set was enough for Novak to claim his 17th win over Tsonga in their 23 career encounters. Match statistics: aces (12-10), double faults (1-1), winners (33-30), unforced errors (24-32), total points won (100-79). Novak will next play 25th seed Denis Shapovalov. It will be their first career meeting. The 19-year-old NextGen Canadian defeated Taro Daniel of Japan 6-3, 7-6 (2), 6-3.